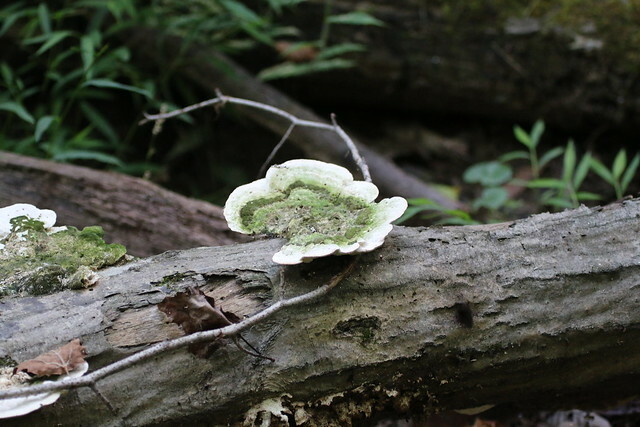 The WooFDriver was out Free Range running the WooFPAK when they came across this dead tree with Turkey Tail Mushroom(Trametes Versicolor) growing on it. It is commonly found throughout the world with different color variations. These older mushrooms that the WooFDriver saw, can have green algae growing on them making them appear green. Here are photos of these mushrooms!